Glad Vanessa posted this, because I hadn't heard of this artist, and I like his work and views. I also like that his sketchbooks are made with graph paper! "Q: How did you choose artistically to get to where you are now?A: I went through a process of becoming comfortable with who I am and simply recognizing what I like to do. I made a conscious decision to stop trying to make art and to just make the kinds of things I like making and am good at making." "Q: In producing your art, what kinds of things do you find yourself struggling with?A: I have to constantly remind myself to create the work that I like to make, that I'm good at making, and that makes me unique. I have to constantly struggle against falling into any preconceived ideas about what a fine art aesthetic is, and struggle against making stuff that I think looks like art. Instead, I struggle to make things that are honest. I'm always trying to pull myself back to me. This has not only to do with my visual language, but also with the forms of the work. I don't want to be shy about my desire to make a range of objects -- from paintings and installations to skateboards and t-shirts." 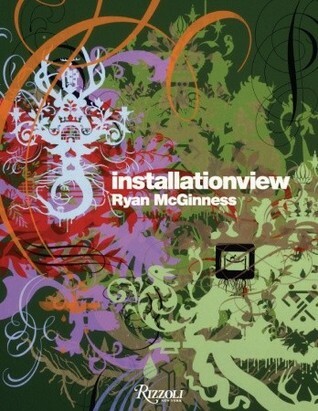 Ryan McGinness is an amazing contemporary graphic artist. The best part is that all he really wants you to do is appreciate how visually aesthetic his screens are. And they really, really, are. Really.